Why would I need self storage in Westlake Village, CA? There are a variety of reasons why you might need self-storage in Westlake Village, CA. How much is a storage unit in Westlake Village, CA? The cheapest storage unit in Westlake Village, CA is $88.00 per month. What size storage units do you have available in Westlake Village, CA? In Westlake Village, CA we have sizes that range from 4'x5' to 10'x30' to suit your storage needs. How much is it for a 4'x5' storage unit in Westlake Village, CA? The cheapest 4'x5' storage unit in Westlake Village, CA is $88.00 per month. Westlake Village is a small city that sits on the Los Angeles County line, surrounded partly by the massive Santa Monica Mountains National Recreational Area. This planned community is an ideal place to live if you're hoping to enjoy the California lifestyle without the hustle and bustle of its metropolitan areas. Westlake Village is about a 40-minute drive from Los Angeles without traffic, and the pristine shores of Malibu are only about half an hour away. You can enjoy the quiet seclusion and small-town feel while still maintaining relatively easy access to the amenities of nearby cities. Although the land where Westlake Village is now located was originally home to the Chumash Native Americans and a variety of farmers and settlers, the community as it's known today didn't get started until the 1960s. In the 1940s and '50s, the land was the site of a large agricultural ranch used to film a variety of Hollywood films and television shows. A number of episodes of well-known shows like "Bonanza," "Gunsmoke" and "Buck Rogers" were filmed on a portion of the ranch, while the other half was used for cattle. However, all that changed when the American-Hawaiian Steamship Co. purchased it in 1963. The company bought all 12,000 acres of the ranch and partnered with Prudential Insurance Co. to plan their "city in the country." A large team of prominent engineers, architects and land planners worked to develop the community's layout and structure, which became a nationally-recognized model of excellence. When it was completed, the community was named Westlake Village. It was advertised as an excellent place to live a raise and family, and it quickly grew into the cozy community it is today. The population of Westlake Village is fairly small and has mostly leveled off in recent years. However, there are still a number of people discovering this hidden gem and all it has to offer. As the town's name implies, it's home to a large lake. Westlake Lake is a 125-acre man-made lake with 8miles of shoreline. Jog or bike around the lake, or dine at one of the several lakefront restaurants. If you want to indulge in water sports, you can easily make the drive to California's coast for surfing, sailing and more. You'll also find several local parks in the city, perfect for enjoying the sunny California weather. Because Westlake Village is so small, you might think there are very few jobs to choose from. However, several large companies are headquartered here, including Dole Fruit Co., K-Swiss, Guitar Center and Ryland Homes. In addition, there are plenty of local stores where you can find retail and food service positions. The largest employers in Westlake Village include Bank of America Home Loans, Move Inc., Dole and Costco. You could also choose to commute to Los Angeles, where the entertainment industry is a major employer. Santa Monica is also within reasonable driving distance. The Conejo Valley Unified School District is responsible for the public schools in Westlake Village. About 21,000 students attend schools in the district. There are a few private schools in the city as well, including both faith-based and secular campuses. Utilities: Southern California Edison and Southern California Gas provide energy to the homes in Westlake Village. The Las Virgenes Municipal Water District manages public water services. Garbage and Recycling: Trash, recyclables and yard waste are all collected on a weekly basis. Transportation: Because Westlake Village is fairly small, public transportation options are limited. Westlake Village Transit is a system offered to students in the city, while the Westlake Village Trolley runs on weekend nights in the summer. There is one line of the L.A. Metro that passes through Westlake Village as well. Despite its small size, Westlake Village is an expensive place to live. The median home price hovers around the million-dollar mark, with condos and townhomes also costing several hundred thousand dollars. However, there are a variety of options on the market, so you can find something that fits your style, budget and needs. Our lowest priced units in Westlake Village, CA average $88.00 per month. 49 people have reserved units in Westlake Village, CA in the past 30 days. 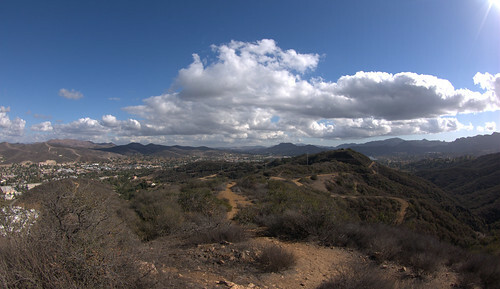 There is 1 location within Westlake Village, CA's city limits. There is 1 location in Westlake Village, CA that offers AC and Heating features.